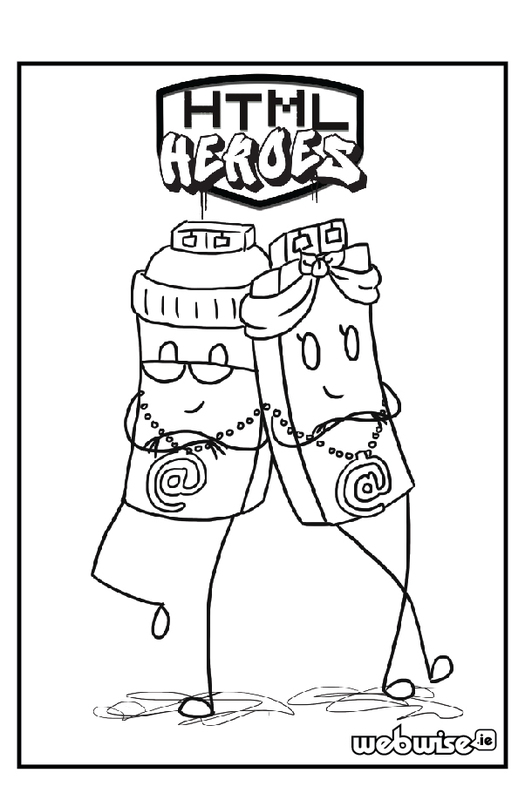 Each colouring template can be downloaded below, feel free to use all of the templates with your class. 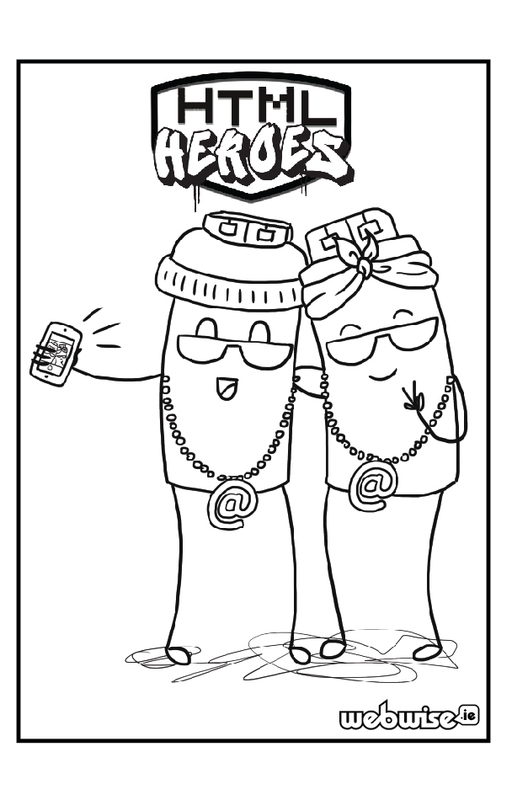 Each colouring template is available in .pdf format. Please print template 3 in landscape format. Be in with a chance of winning The Art Award – with a drone for your school up for grabs. There will also be a small prize given for the overall winner of the colouring competition. 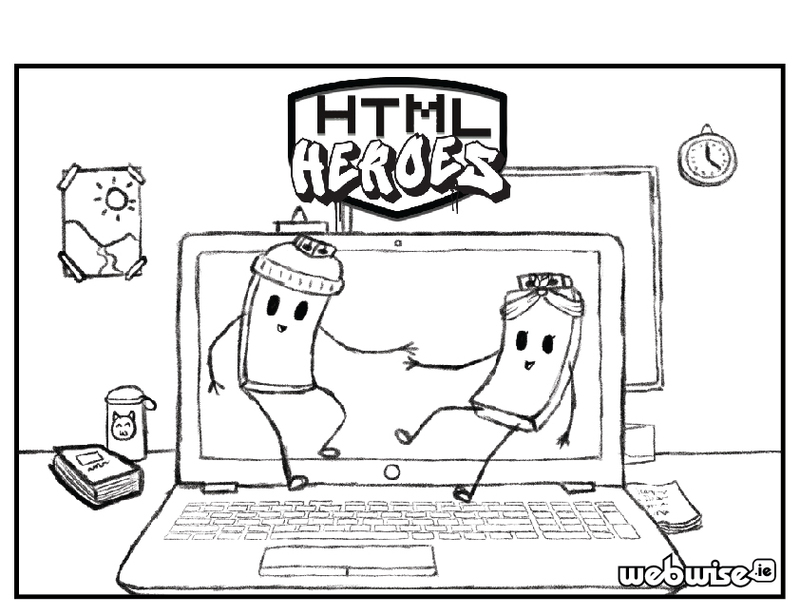 Alternatively, you can take a picture of your colouring template and add it to your social media – make sure to tag Webwise Ireland on Twitter, Facebook and Instagram and use the hashtag #HTMLHeroes. 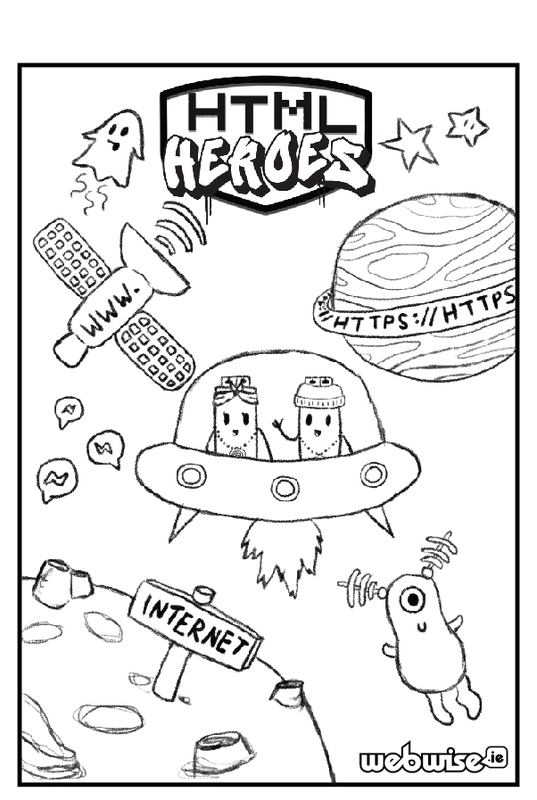 You can also email it to: internetsafety@pdst.ie. Please use ‘Colouring Competition Entry’ in the Subject Line. Don’t forget to tell us what school you are in and what class you are in.